The strongest link in your cold chain: The Channel Islands Facility is a state-of-the-art cold storage facility. Situated on 26 acres of secured property, we provide 62,000 square feet of cold storage warehousing. 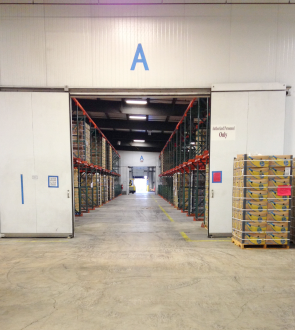 This facility is double racked with the current capacity to store approximately 4,400 pallets. Channel Islands Logistics is located only 1 mile from the Port of Hueneme. Port Hueneme is the only deep draft port between Los Angeles and San Francisco Bay and is quickly establishing its place as the premier produce port on the West Coast. Channel Islands Logistics has been a vital part of the port's explosive growth servicing some of the port's largest customers Del Monte & Chiquita. Channel Islands Logistics has 26 acres of yard storage and 300 yard plugs for refrigerated containers as well as a full M&R Shop to service your containers and chassis fleet (i.e. BIT, Federal inspections and repairs). 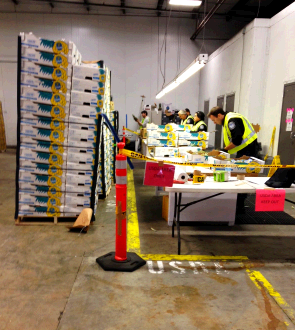 Channel Islands Logistics is an authorized USDA inspection facility (performing even Fumigation). The inspection is completed at our facility and there is no need to dray the container to another contracted warehouse for fumigation or storage which saves you money and time! Channel Islands Logistics strives for perfect order fulfillment. We are about our customers and your needs. We have the ability to integrate your proprietary shipping and inventory systems with ours. This ensures you maintain a real time inventory and the information flow is seamless. You are assured of absolute information security. We have an established network of truck drivers capable of draying containers a few miles, or hauling refrigerated cargo across other states. 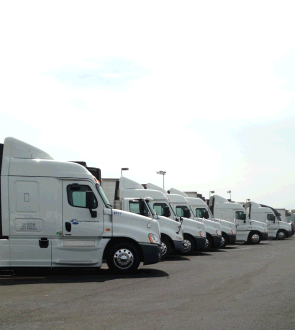 Our commitment to excellence in trucking is one of the hallmarks of our business. Channel Islands Logistics has built a reputation on service and performance.